I love fall, and I love the flavors and fragrances of fall! I also LOVE ice cream! 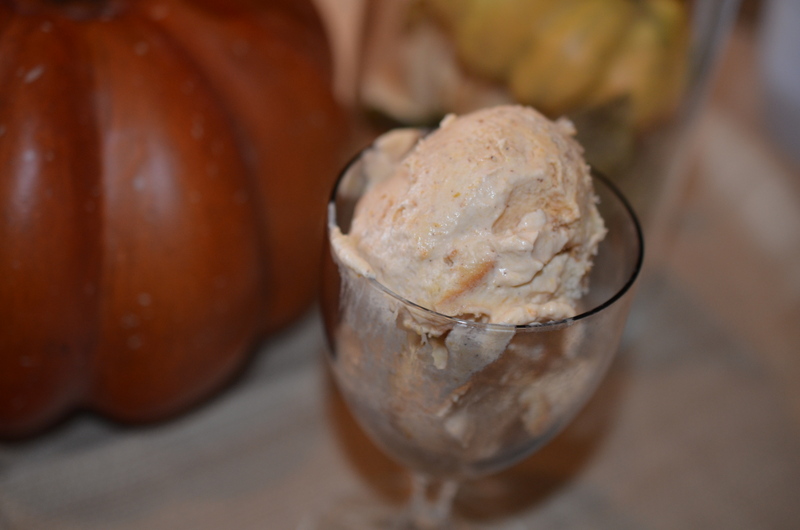 So it felt appropriate to put the fall flavor of PUMPKIN into homemade ICE CREAM. 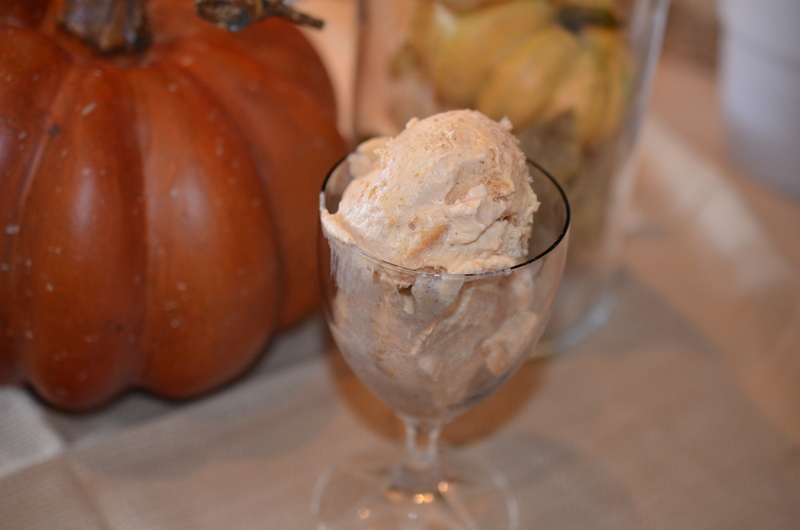 And just like my Chai Ice Cream , you do not need an ice cream maker. In a separate bowl whip 2 cups of heavy whipping cream. Gently fold in the pumpkin mixture, a little at a time until it is all incorporated. Remember to fold gently. Next, crumble up either Nilla Wafers or Ginger Snaps, use about 10-12 and make them LARGE crumbles. Gently fold in the cream mixture. Pour into a tightly sealed container and freeze for about 6 hours or until frozen. I promise you will NOT be disappointed!! 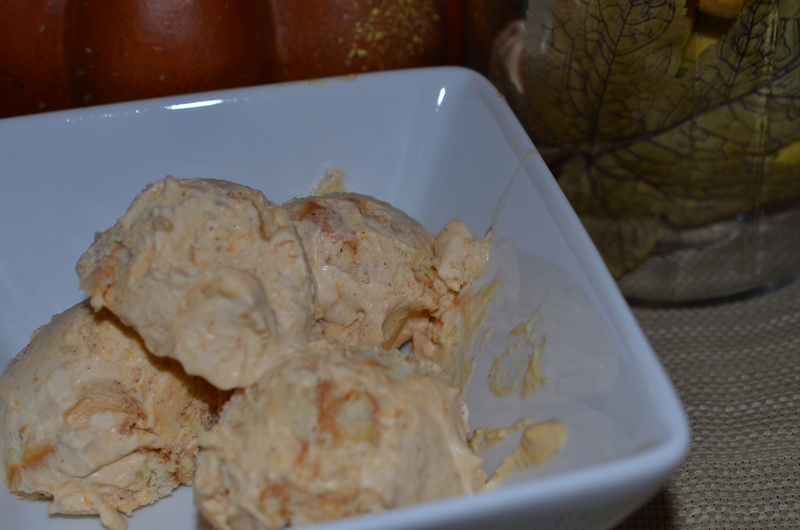 If you prefer just the pumpkin ice cream, just don’t put the cookies in, it’s fantastic either way!